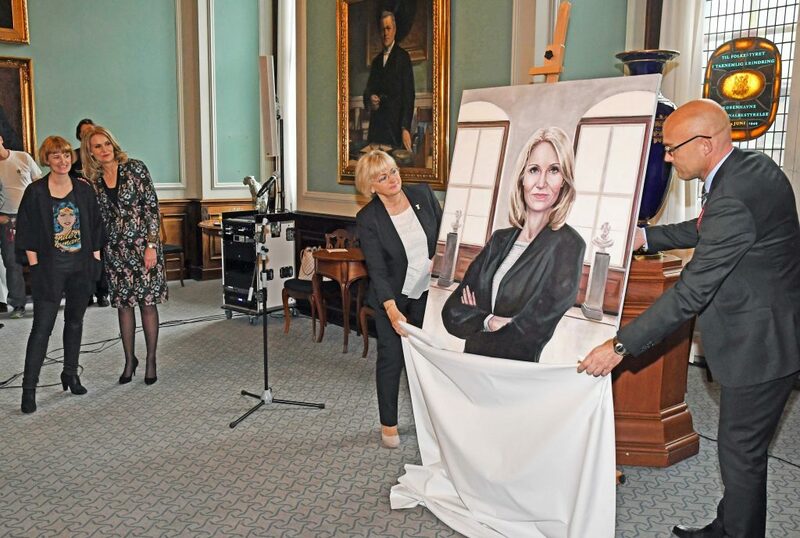 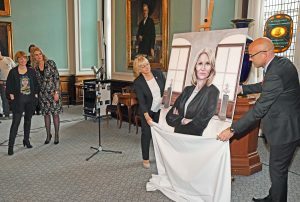 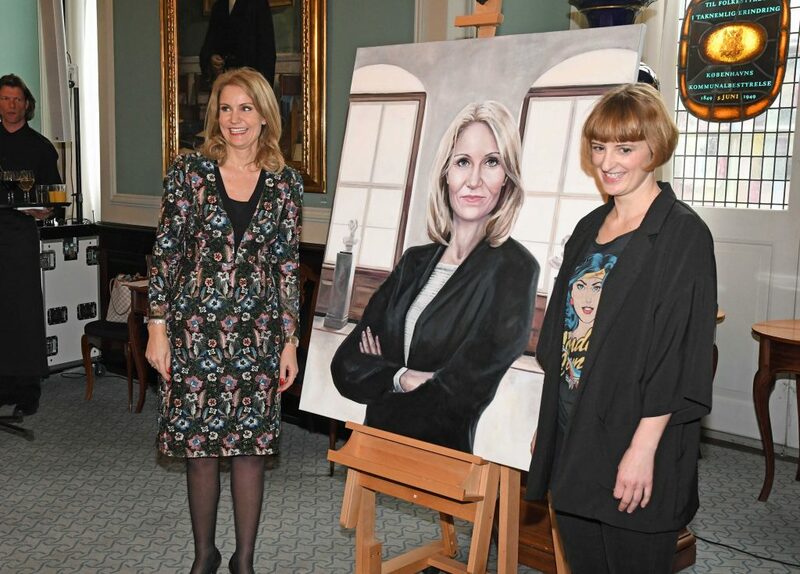 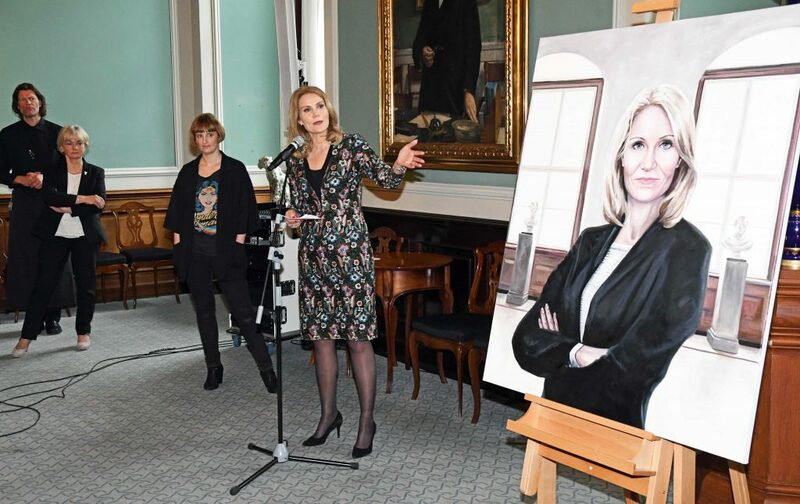 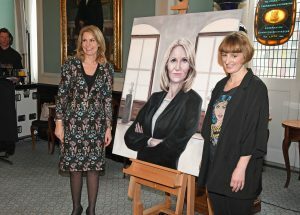 The former prime minister, Helle Thorning-Schmidt, was back at her own stomping ground yesterday for a special unveiling of her new portrait, which will adorn the walls of Folketinget, the Danish Parliament. Also present was the artist Ditte Ejlerskov … but nobody asked her about the former PM’s hair colour in her portrait. 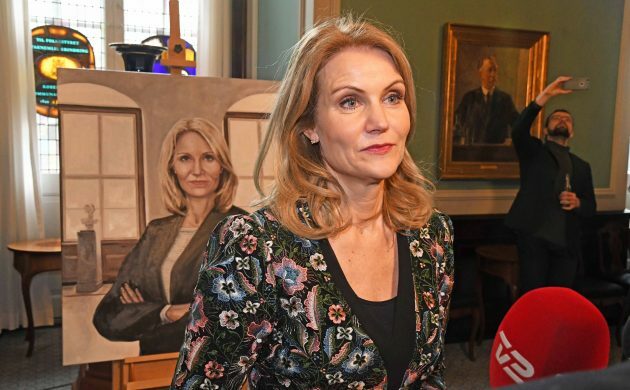 It might initially be lonely for Thorning-Schmidt, who is now based in the UK where she works as the chief executive of Save the Children, on the walls of Vandrehallen, as she remains the only woman to ever be the prime minister of Denmark. 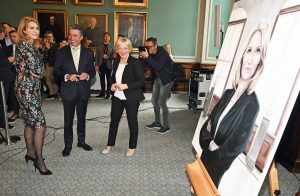 But with Mette Frederiksen, her successor as leader of Socialdemokratiet, currently the favourite to be Denmark’s next PM, she probably won’t have too long to wait until she gets female company. 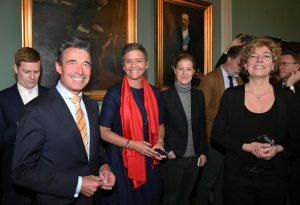 And who knows what the future has in store for former minister Margrethe Vestager (red scarf), the current EU commissioner for competition.